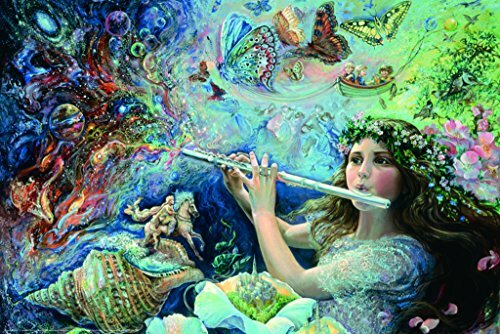 The flute is a wonderful instrument. Here are the accessories that are needed to become a great player. I love the flute! My husband and daughter both play flute so I get to hear quite a lot of flute music. Of course some of it is rather less than melodious, but fortunately much of it is delightful. Although our cats absolutely hate it! I've learned how much is needed to play flute well. It's not just a flute, or some music and a teacher. It's not even just hours of practice. 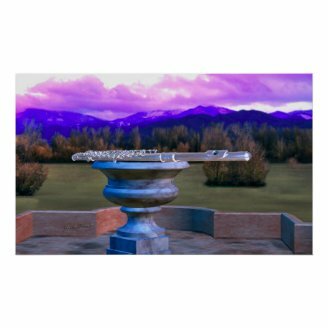 There's lots of other things - flute accessories - that are needed to be successful. So if you're an aspiring flute player, here's what you need! So You Want to Play Flute? OK, you've got your flute. You've got music and a teacher. What else do you need to become a great flute player? Well, hours of practice of course. But that's not all. 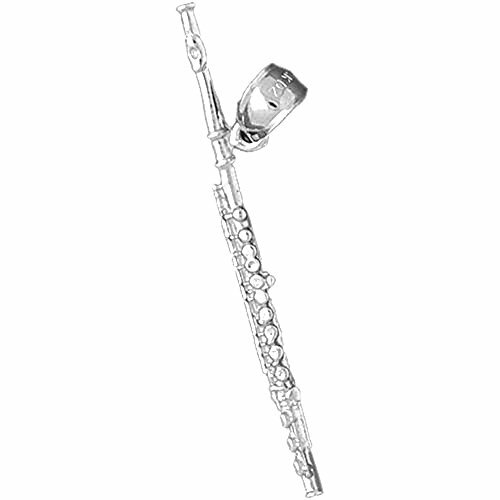 There are many accessories that are really essential to good flute playing, for the new student and professional alike. You need a music stand! OK, yeah, I know this guy looks pretty weird! Maybe you don't need to practice in a dusty old attic like he does (or wear such odd clothes), but this guy has the right idea - he's standing up and playing music from a music stand. If you want to learn to play your flute well, you've got to have your music at the right height and right angle. Just putting it on the table or bed beside you doesn't encourage good posture! You'll never be able to get good tone if you can't breathe right and can't develop good embouchure because you're holding your flute at the wrong angle just to see the music. 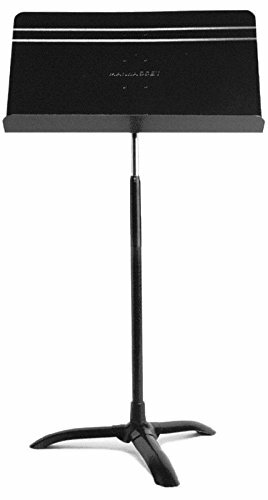 There are two major types of music stands - the folding up wire kind and the solid metal kind. Each has its advantages and disadvantages, of course! We've had both. The wire kind is much lighter, portable, easy to bring with you anywhere. But it's not so stable or adjustable. Those black metal ones are definitely heavier! But they are really stable, and usually adjust much better to the height and angle you need. And they often come with a bag to carry them in, so they're portable too (if you're going by car not walking at least!). 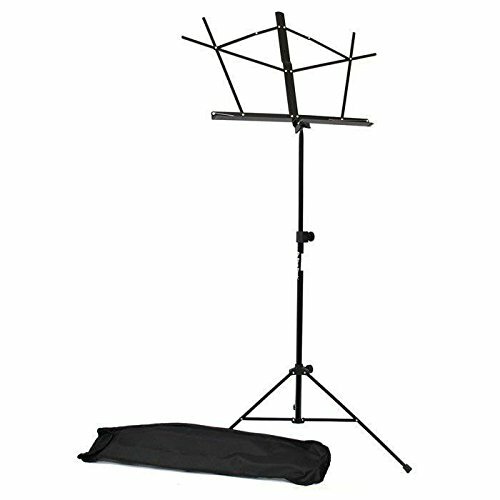 If you're going to perform on a stage where it's dark, or just play or practice anywhere a bit dark, having a light on your music stand is wonderful! 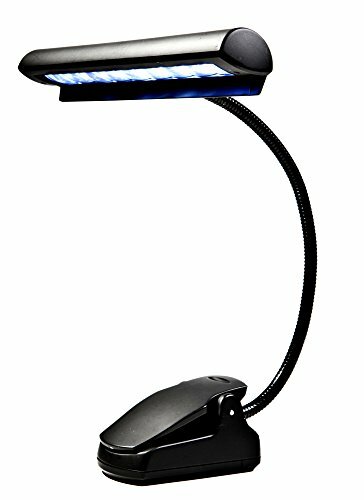 This light clips onto your music stand, or it can sit on a flat surface. Either way, it spreads light across your music so you can see! Marching Bands are Fun - Go Flutes! If you join a marching band you'll need this product to hold your music! The lyre attaches to the flute players arm, allowing them to read music while marching. You Need to Keep in Time and in Tune! Whether you're just playing on your own or in a group, a band, or a marching band, you need to be able to play in time. That's where the metronome comes in. Every piece was written to be played at a certain tempo, and without a metronome it's almost impossible to keep that speed consistent while practicing. And it's also important to play in tune. If you get used to hearing yourself play a piece sharp or flat it's hard to adjust your playing to the group later. So you need a tuner to tell you the correct pitch. You can buy separate metronomes and tuners, and some people prefer that. Often a metronome will be louder when it's a stand alone. In our case, we have an electric keyboard which has a metronome so that was OK for quite a while. So a separate tuner was the accessory we needed. Then, when our daughter went off to college she needed her own, so she got the combo deal. This is the model our daughter bought. It's slim, compact, has a cute little case, and does everything you need. She likes it, says "it's pretty good...a little complicated but once you know what you want from it it's nice." It seems to be out of stock in most places, but still available on ebay. No, not people to cheer you on (although that's good too), the Cobra flute support will keep your flute stable while you play. You may find that it is difficult to hold your flute and play all the notes, especially if you joined that marching band! 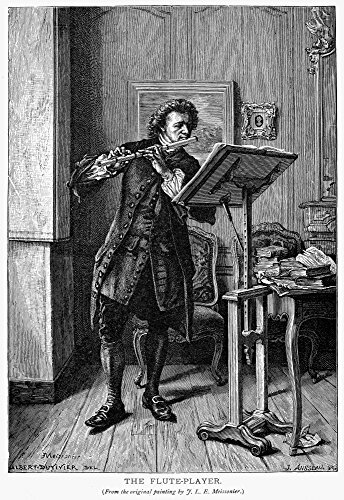 Maybe you just have a hard time holding the flute at the right angle to reach the keys. Or perhaps you're having trouble playing trills, or playing the third high octave, because you can't use the key with your thumb and keep the flute stable at the same time. To avoid such problems you need a Cobra Flute Support. 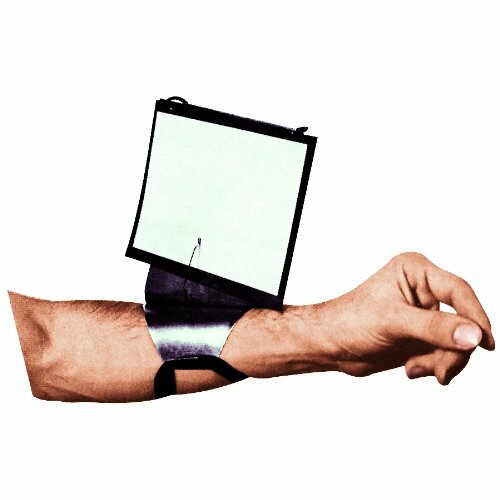 This ingenious little device is worn like a ring on your left forefinger. It's flexible so it adjusts to your finger and the support adjusts to the best angle to hold your flute securely. The Cobra support for flute is like a ring with a "head" that provides a secure place for the flute to balance. Buy a Cobra from Misticmedia at Artfire.com. Take Care of your Lips! You know how important your lips are in playing the flute. Dry cracked lips do not good embouchure make. Maybe you've tried various Chapstick type products, but they make the lips too slippery - not good. And that layer of waxy stuff just takes away all the sensitivity. What you really need are soft moisturized lips. The Mary Kay Satin Lips set achieves exactly that! The mask is used first to remove the dry, dead skin from the outer layer of the lips. Without doing this, the moisturizer cannot penetrate sufficiently to provide a lasting effect. The mask is gritty and feels a bit strange since lips are sensitive. Don't worry, it's all good. Then you apply the moisturizer, which feels really good, and the lips get so soft. And the best part is they don't dry out for hours. So you are all set to play flute with perfect lips for as long as you need. You can always bring the moisturizer with you for a touch up, it's not greasy so no slippery lips! Maybe you don't have a golden flute (we can't all be James Galway) but you do want to keep it clean. Shining and bright is so much nicer than all dull, smudged, and tarnished looking. 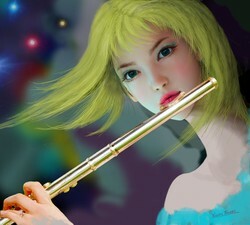 I'm convinced that a bright shining flute is happier, and so the music that comes out is better. Well, yes, you have to practice to actually play good music! But putting effort into cleaning and taking care of your flute is part of the investment in being a flute player. So be serious about the cleaning too! Yes, cleaning the flute is important! There are several aspects to this. There's just cleaning the body of the flute to keep it shiny, remember silver tarnishes, even silver plate! And there's cleaning the inside - all that spit needs a bit of drying out on occasion! So you need a cleaning rod and cleaning swabs for that. Then there's things like grease and oil for the keys. 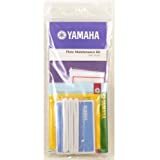 Yamaha also has special cleaning paper for removing moisture, oil, and stuff from the pads - not only extends the life of the pads, keeping them dry and clean makes for clearer sound. Best is to buy a kit, it has everything you need. Show your flute some love! Your flute is delicate, and quite expensive! So make sure you have a good case for it, and store it carefully especially when you are going to bring it with you somewhere. Your flute will have its own case, designed to fit it perfectly. Take care of the case, so that it will take care of your flute! 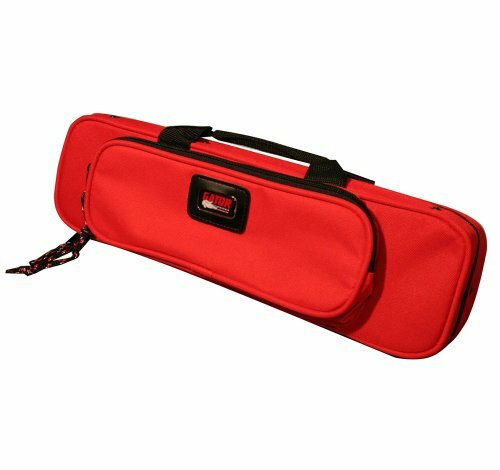 A cover for your flute case is a good idea. 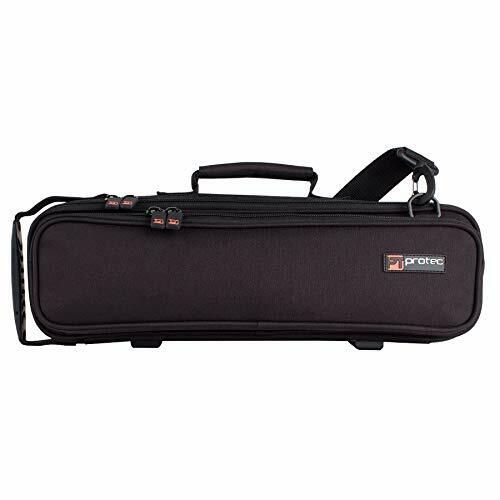 It's practical - it protects your flute case and it may carry the cleaning rod for you as well as other items. And it can be pretty too! Show your love of the flute! 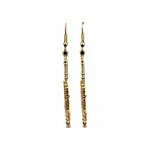 Lovely flute jewelry, not essential to good flute playing but very attractive and fun to wear. Do You Play the Flute? Which of these accessories do you have or recommend? My cousin plays the flute beautifully, this looks like a great selection! Thanks! Happy to be informative and fun! This is a very useful article! That ring with supports and the lyre for marching were quite a surprise. It was a fun read. It makes sense to care for an instrument.